Intelligent lihtium battery management system/PCM for 7S, 8S, 9S or 10S Lithium LiFePO4, NiCoMn, LiMn2O4 etc diy packs. 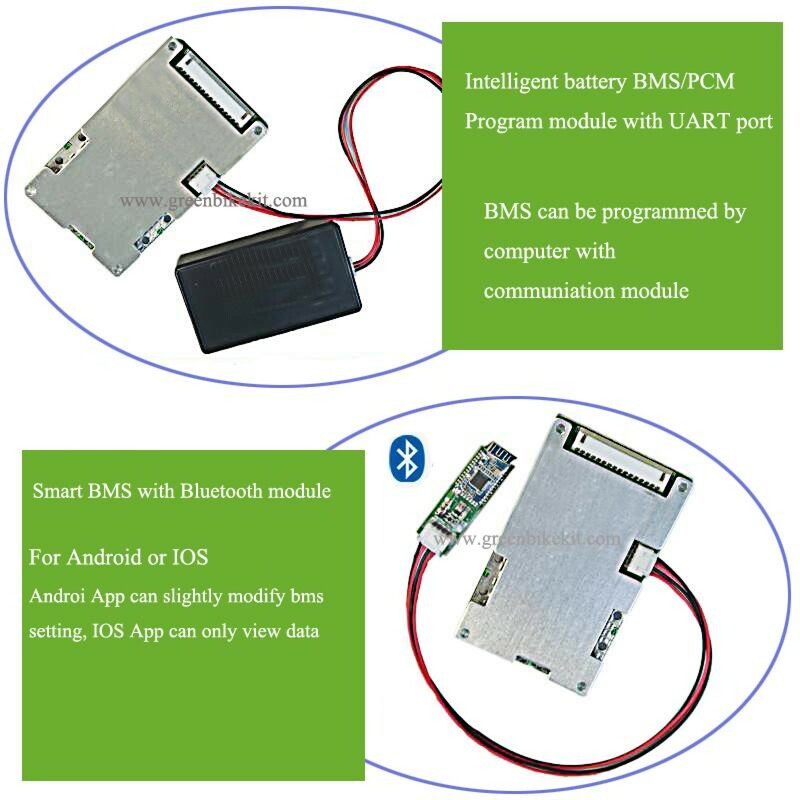 You can program the smart BMS/lithium battery on your computer and view all the parameters via your mobile(The Android APP can slightly modify parameter for the BMS while the IOS APP can only read datas and cannot modify data from mobile). 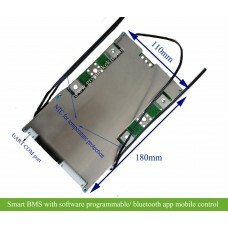 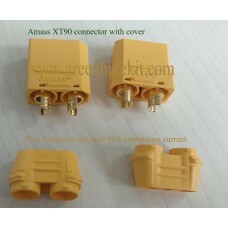 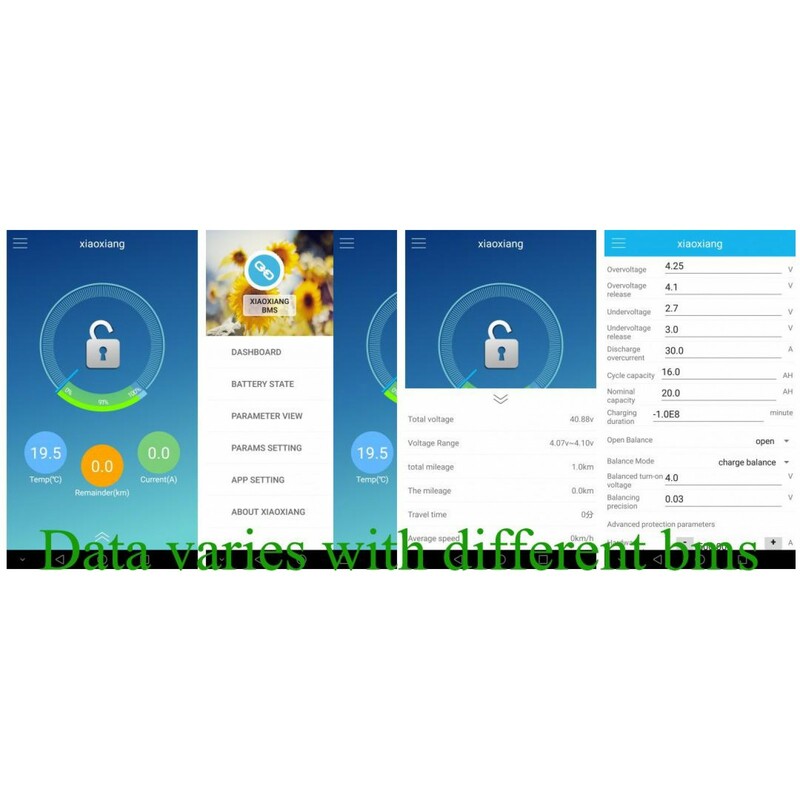 We also provide smart BMS with larger serial from 10S~15S, 16S~ 20S PCM and 20S~ 30S BMS with software and mobile app control. 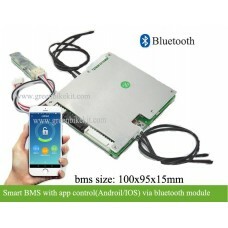 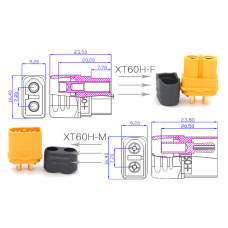 This smart BMS use the same COM for charging and discharging which means the charging current can be equal to the discharging current(but we don't sugget to charge with large current because it is not good for the battery). 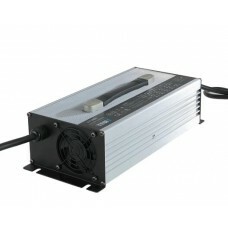 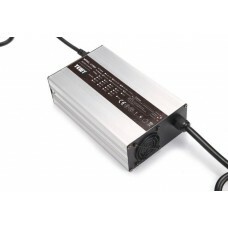 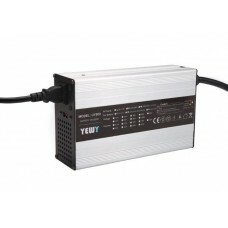 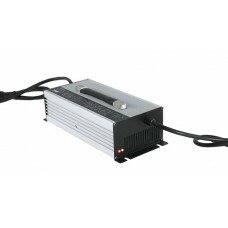 If you need a battery charger for your diy packs, we also provide customized lihtium battery chargers. 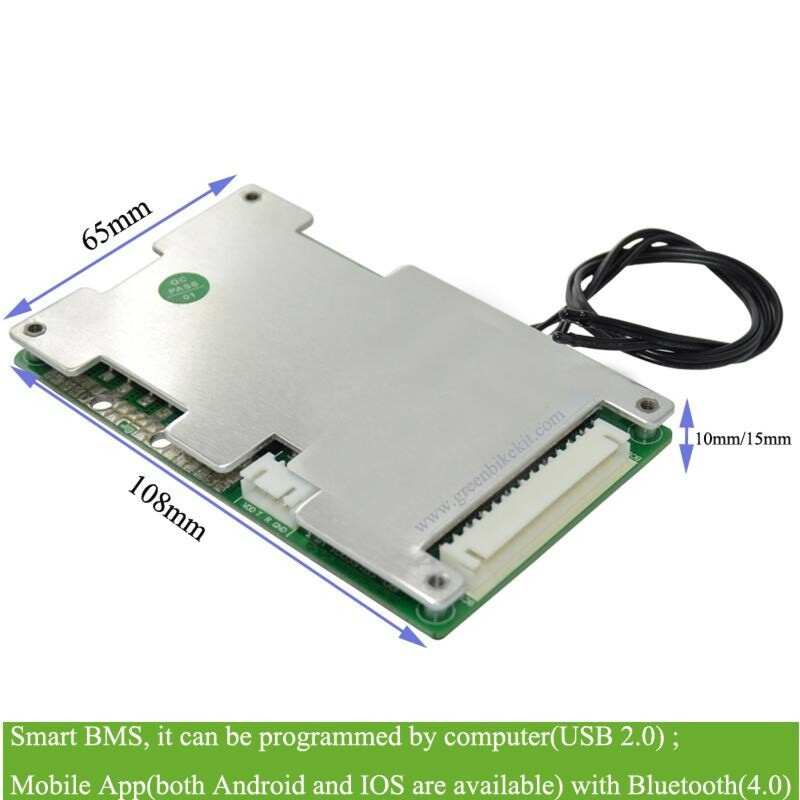 About thickness of the BMS, if the BMS current is large, then it will be 15mm thickness; if the serial number and current is small, then it is 10mm thick. 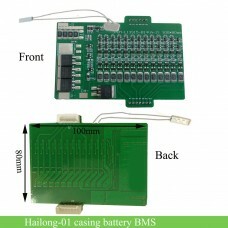 Smart lithium battery management system/PCM for 7S 8S 9S or 10S battery packs. 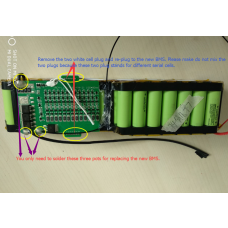 Review "Intelligent balance battery BMS/PCM for 7S 8S 9S 10S lithium packs with software/app programmable"